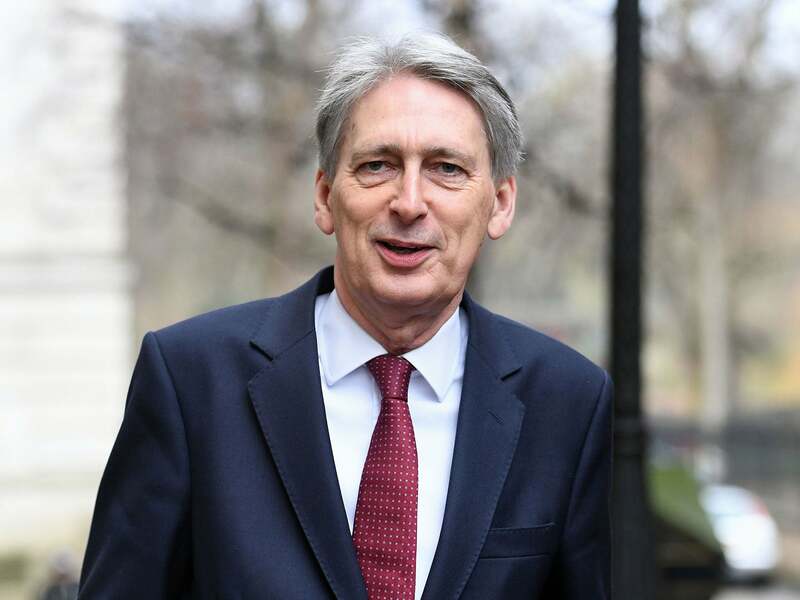 Chancellor Philip Hammond has insisted that the prime minister's Brexit deal is better than remaining in the EU. He said the deal respected the result of the 2016 referendum and offered "the best compromise possible". European Council President Donald Tusk has recommended that the EU approve the deal at a summit on Sunday. It comes after Spain, which threatened to miss the summit, was reassured over objections it had raised about Gibraltar. Spanish Prime Minister Pedro Sanchez has now received enough reassurances from the UK government over the issue. Mrs May flies into Brussels later to hold talks with top EU officials, ahead of the summit. The UK is scheduled to depart the EU on 29 March 2019. Even if the EU approves the deal, it still has to be passed by the UK Parliament, with many MPs having stated their opposition. Arlene Foster, the leader of Northern Ireland's Democratic Unionist Party (DUP), has already stated the party will not back the Brexit deal - and is expected to reiterate her position at this weekend's annual conference in Belfast. She will say the withdrawal agreement contains arrangements that are not in Northern Ireland's long-term economic or strategic interests. Mrs May relies on the DUP, whose 10 MPs help the minority Conservative government to pass legislation. The DUP has threatened to look again at the agreement with the Conservatives if the Brexit deal gets through Parliament. DUP Chief Whip Jeffrey Donaldson denied the party would walk away from its agreement - but told the BBC the party was "very unhappy" with the withdrawal agreement. Philip Hammond told Today he was hopeful of a solution with the DUP. The deal on offer was the "best way of Britain leaving the EU with the minimum negative impact on the economy," he said. The chancellor said the deal was better than remaining in the EU because it honoured the referendum result and offered "the best compromise possible... satisfying both sides" of the Brexit argument. "If we want this country to be successful in the future, we have got to bring it back together after this process," he said. Ministers' hard sell of the Brexit deal continues - this morning it was Philip Hammond's turn. He's been trying to reassure the DUP over their concerns about the Irish border - but he also had a message for MPs thinking of voting against the deal in the Commons. Don't - or chaos will be unleashed. Warnings about the economic consequences of a Parliamentary rejection will remind some of what was dubbed 'Project Fear' during the referendum campaign. The chancellor's suggestion that there is no alternative can be seen as a dismissal of those critics - the DUP, Tory Brexiteers - who think there is still a chance of renegotiation. Meanwhile, former Northern Ireland secretary Theresa Villiers - a Leave campaigner in 2016 - has said she will vote against the withdrawal agreement. "I do not believe it is in the national interest," she told Today. She said "every effort should continue to be made to try and reach a better agreement" but failing that, Theresa May "should walk away". But Mr Hammond warned that a no-deal Brexit would unleash "economic chaos". "If the meaningful vote [in Parliament] is lost we are in uncharted territory," he said. On Saturday, Mrs May will meet the president of the European Commission, Jean-Claude Juncker, and European Council President Donald Tusk for talks. There is no formal vote on Sunday but the EU expects to proceed after reaching a consensus. Spain raised last-minute objections to how the issue of Gibraltar - a British Overseas Territory with 30,000 residents - had been handled in the Brexit talks so far. Spain has long-held ambitions to bring the territory back under Spanish rule, and there's growing concern about how their economic ties with the territory will be affected by Brexit. Although one country on its own cannot stop the withdrawal agreement being approved, there is "no way the EU can rubber-stamp a text when an existing member is so strongly opposed", said BBC News Europe editor Katya Adler. France, Denmark and the Netherlands had raised concerns over what the political declaration said about fishing rights in UK waters - but this issue is understood to have been resolved. If the EU signs off the withdrawal deal, Mrs May will then need to persuade MPs in her own Parliament to back it. A vote in Parliament is expected to happen in December. Labour, the Liberal Democrats, the SNP and the DUP have all said they will vote against the government's deal, as well as many Conservatives. What happens if MPs reject Theresa May's deal? What does Theresa May say about the deal? On Friday, the PM said the UK should not hope for a "better deal" from the EU if MPs reject her Brexit agreement. Meanwhile, the Telegraph said it has seen leaked Cabinet papers which suggest the PM is planning to "reframe the Brexit debate around migration" - by planning restrictions on low-skilled migrants coming to the UK - in a bid to attract the support of Brexiteers. Does the DUP's support matter? Yes. After the 2017 general election, Mrs May's Conservative Party got 318 seats - four short of the number she needed to rule with a majority government. The DUP formed a confidence and supply agreement with the Tories, promising that its 10 MPs would vote with the government, and therefore enable it to win key votes in Parliament. The DUP opposes the Brexit deal because of the "backstop" - the last resort back-up plan to make sure a hard border between Northern Ireland and the Republic of Ireland never happens. It will only come into effect if the UK and EU fail to agree a long-term trade deal. But the backstop would mean that Northern Ireland - but not the rest of the UK - would still follow some EU rules on things such as food products.